Asthma is a disease of the airways in the lungs. The airways (Bronchi) are small tubes conducting air in and out of the lungs. In Asthma, they undergo narrowing resulting in various symptoms. The walls of these airways consist of muscle fibres. Some agents cause contraction of these smooth muscles (bronchospasm) resulting in their narrowing. There are various causes for bronchospasm, the most common being Allergy. Allergy – Allergy is the exaggerated response of the body to various substances. This occurs in the so-called ‘Atopic’ individuals. These people react too frequently and too much to outward substances called ‘Allergens’. Allergens can be anything from sunlight, cold, food, dust etc. The allergens which usually enter the body via inhalation route are called Aeroallergens. The commonest aeroallergens are dust and pollen. Smoke and strong smell can also initiate an attack of asthma. Pollen allergy is more common in the temperate climates, whereas dust allergy is more common in the tropics. The most common dust antigen is the house dust mite antigen, which is present abundantly in hot humid areas. Apart from inhalation, other allergens can also evoke bronchospasm. Food is an example. The commonest food items having the potential to cause allergy are those containing large amount of protein such as prawn, crab, peanuts etc. Peanut allergy is common in the western world whereas seafood allergy is more common in India. Wheezing, a whistling sound produced by bronchospasm of numerous airways of the lungs is the most important and common symptom of Asthma. Wheezing may be accompanied by shortness of breath, fast-paced breathing or retractions of the chest. Cough is also very common. In some patients, cough may be the only symptom (known as “Cough Variant Asthma”). Cough Variant Asthma is an important factor to be considered while evaluating asthma in patients with a cough that has been persisting for a long period. Phlegm(sputum) in asthmatics is usually thick and difficult to bring out. Chest tightness is another presenting symptom. A physical examination will help to diagnose wheezing. Low pitched wheezing (“Rhonchi”). may be heard with the help of a stethoscope. But, if there is no bronchospasm at the time of examination, no abnormality may be found. Therefore the most significant clue in diagnosing Asthma is analyzing the detailed history of symptoms. Asthma is typically intermittent, that means there will be periods of symptom-free intervals between episodes of wheezing or cough. The symptoms are usually worse at night and in the early morning. They may be seasonal, for example, more during the spring when the pollen concentration in air is high. Out of the other allergic diseases are commonly associated with Asthma, the commonest is Allergic Rhinitis (allergy of the nose). Skin allergy is also not uncommon. 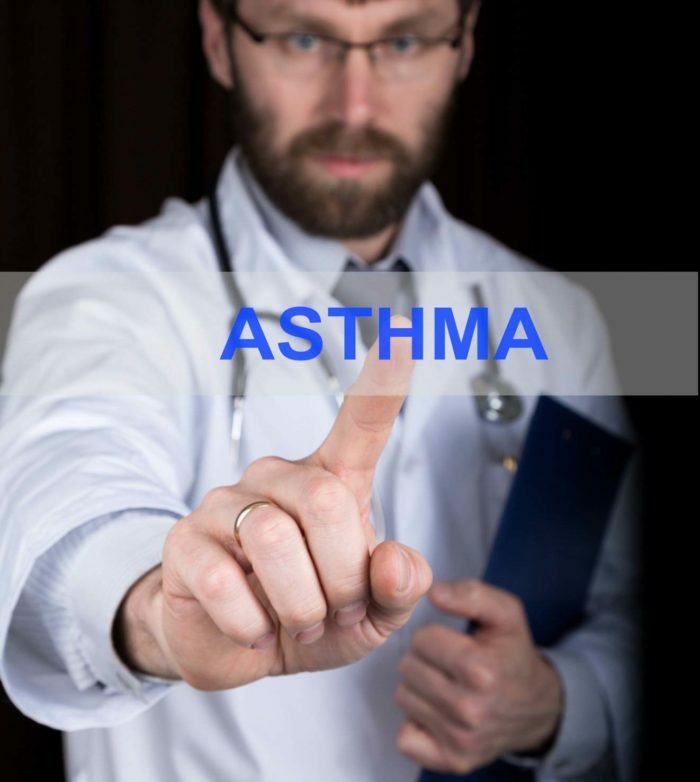 Asthmatics usually have a family history of Asthma or Allergic Rhinitis. The symptoms of Asthma are reversed by medications known as bronchodilators. Salbutamol and Terbutaline are such drugs. They are given by the inhaled route (“sprays”) for immediate effect. The side effects are also minimized by using this route as they will only act locally on the bronchi. However, Asthma can be controlled only with anti-inflammatory agents. Steroids are the most effective anti-inflammatory drugs. Here also, by using the inhaled route, side effects can be reduced to insignificant levels. Thus inhaled corticosteroids are the cornerstone of asthma therapy. Asthmatics can lead a normal life without any troublesome side effects from the medicines. Previous articleWhy are Reusable Menstrual Cups Better than Disposables? Next articleA NOSTALGIC ‘SCHOOL’ THOUGHT! How Do Books Positively Affect Your Children?